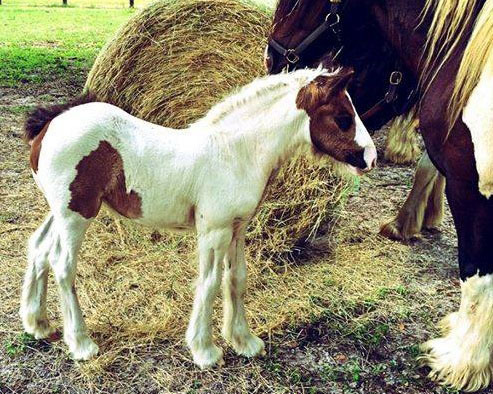 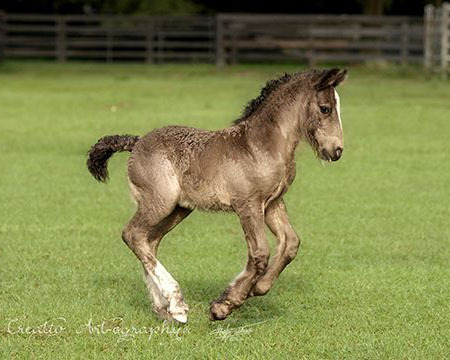 This lovely 2016 filly is royally bred. 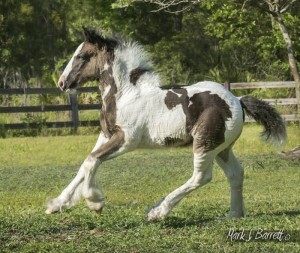 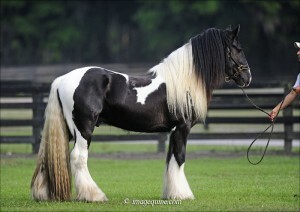 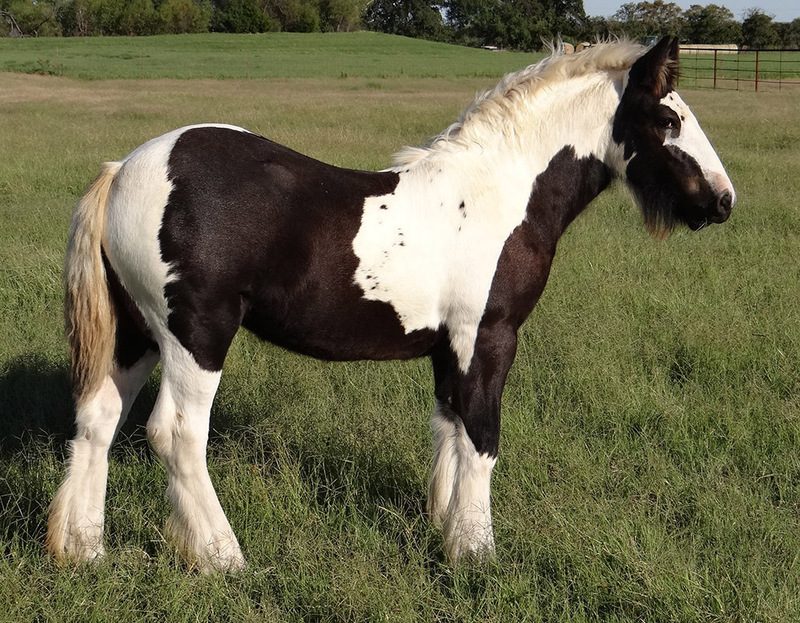 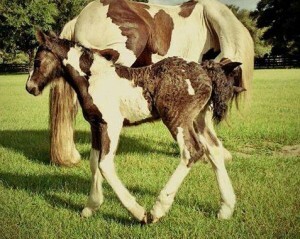 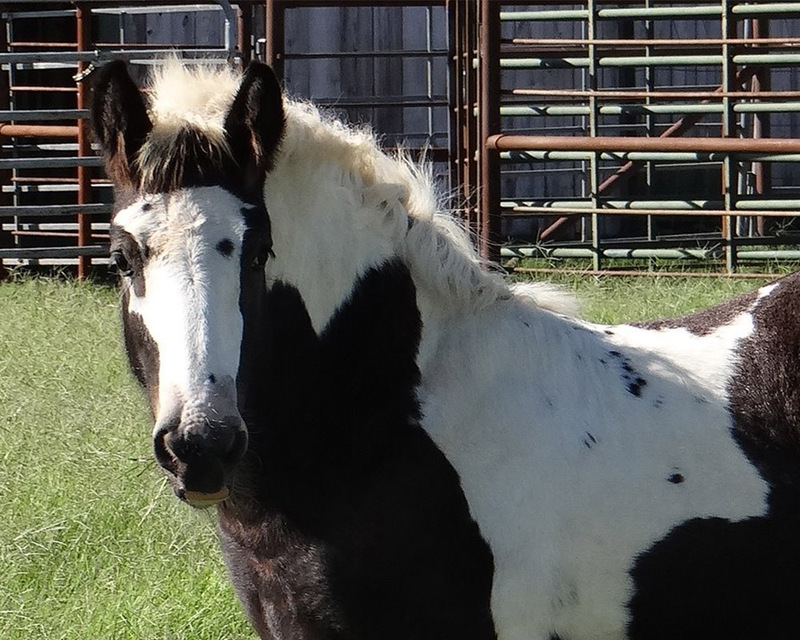 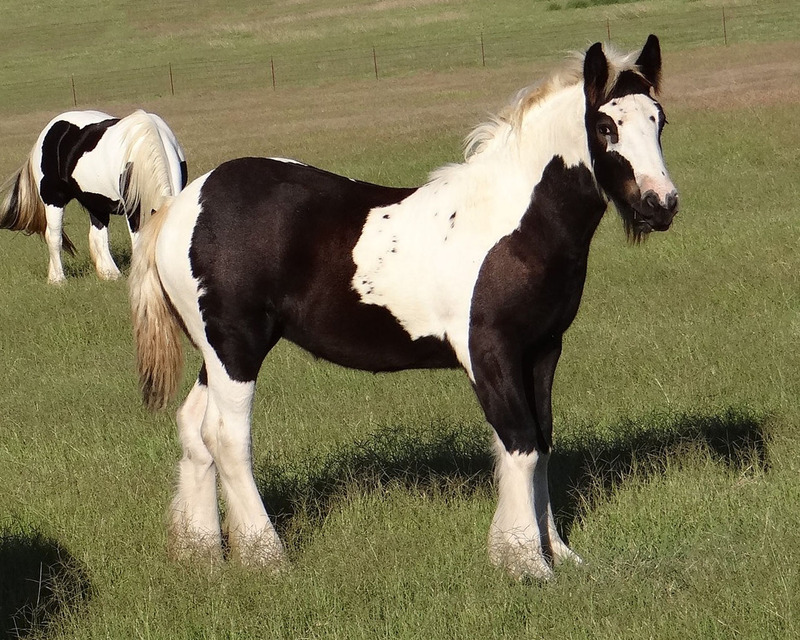 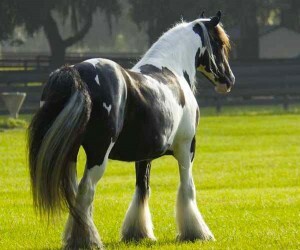 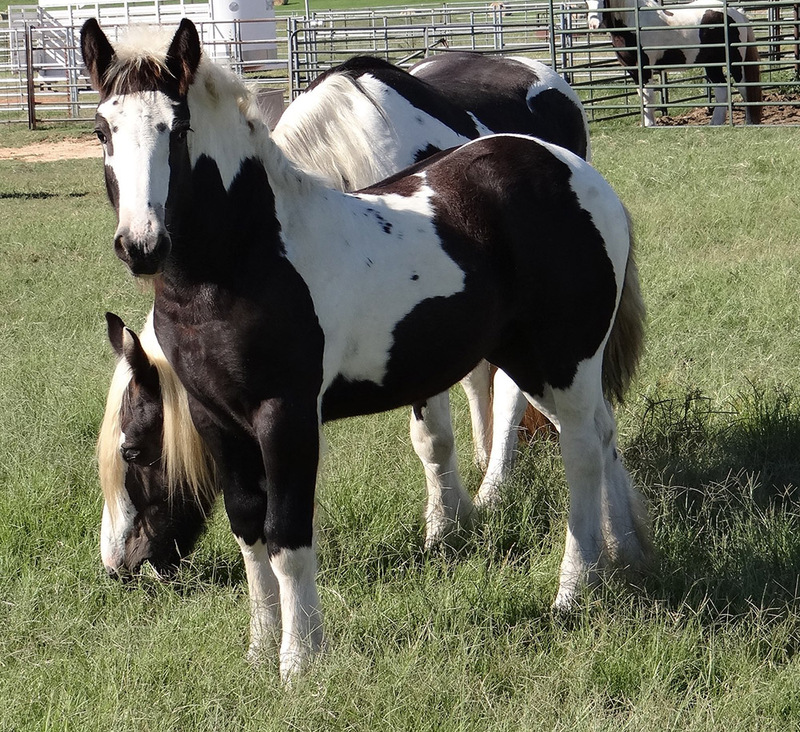 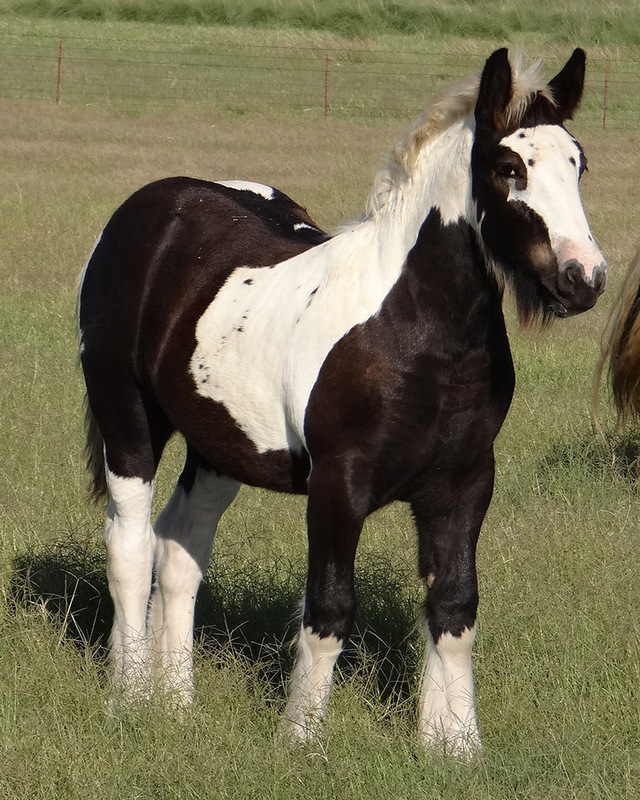 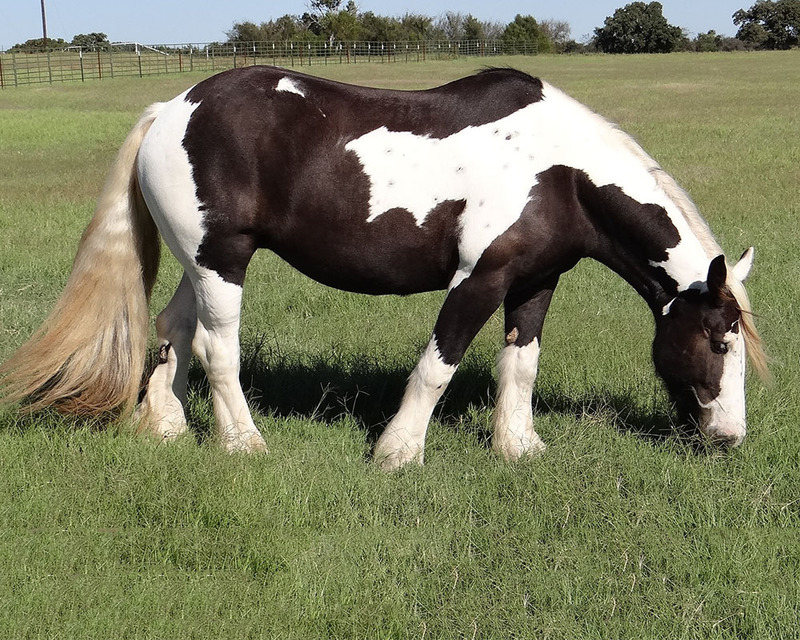 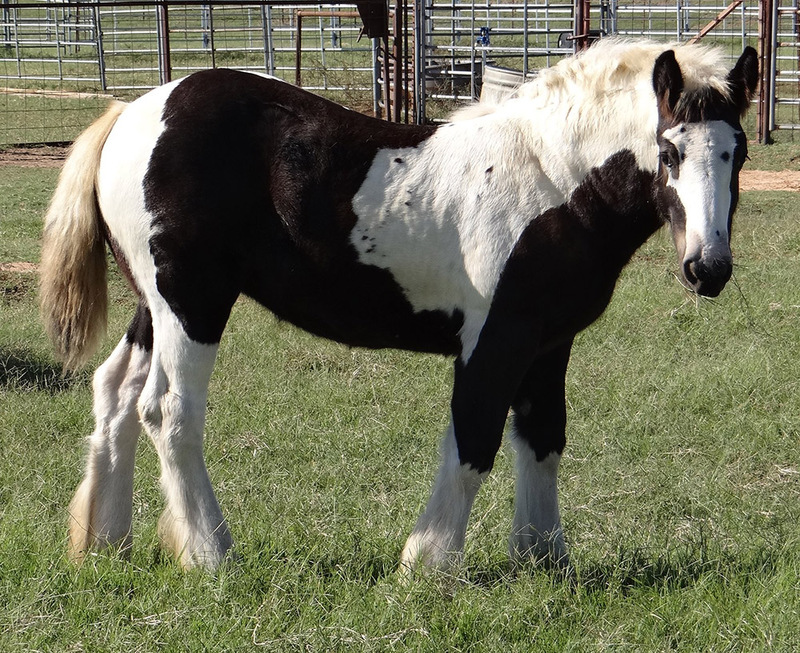 She is a textbook black and white tobiano with beautiful freckles on her face and knee-high front stockings. A quality individual with the conformation, disposition and type to become the start of someone’s excellent Gypsy Vanner program!